Each figure is set in a dynamic action pose! Bring the adventures of PJ Masks home with the PJ Masks Collectible Figure Pack! 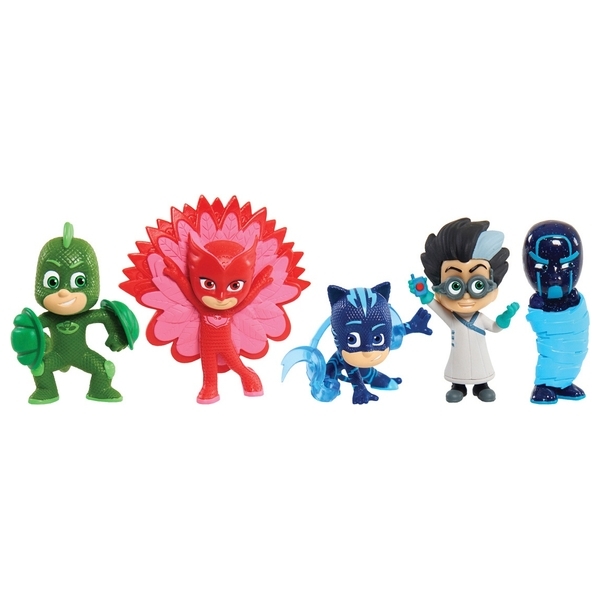 This deluxe pack of PJ Masks 10cm figures features the heroes: Catboy, Owlette, Gekko, and PJ Masks Villians in dynamic action poses. Styles may vary. Perfect for play and display!